Hewlett Packard - 378750-B21 HP/COMPAQ - INTEL XEON 3.4GHZ 2MB L2 CACHE 800MHZ FSB 604-PIN MICRO-FCPGA SOCKET 90NM PROCESSOR KIT FOR PROLIANT ML370 G4 DL380 G4 SERVERS (378750-B21). NEW BULK. IN STOCK. READY TO SHIP SAME DAY. Hewlett Packard - 378751-B21 HP/COMPAQ - INTEL XEON 3.6GHZ 2MB L2 CACHE 800MHZ FSB SOCKET 604-PIN MICRO-FCPGA 90NM PROCESSOR KIT FOR PROLIANT ML370 G4 DL380 G4 SERVERS (378751-B21). NEW BULK. IN STOCK. READY TO SHIP SAME DAY. Hewlett Packard - 359650-001 HP/COMPAQ - INTEL XEON 2.8GHZ 512KB L2 CACHE 1MB L3 CACHE 533MHZ FSB 604-PIN SOCKET MICRO-FCPGA PROCESSOR FOR PROLIANT ML370 G3 DL380 G3 SERVERS (359650-001). NEW BULK. IN STOCK. READY TO SHIP SAME DAY. Hewlett Packard - 416162-003 HP/COMPAQ - INTEL DUAL-CORE XEON 5150 2.66GHZ 4MB L2 CACHE 1333MHZ FSB SOCKET LGA-771 65NM PROCESSOR FOR PROLIANT ML370 G5 DL380 G5 DL360 G5 SERVERS (416162-003). NEW BULK. IN STOCK. SHIP SAME DAY. Hewlett Packard - 416794-001 HP/COMPAQ - INTEL XEON 5120 DUAL-CORE 1.86GHZ 4MB L2 CACHE 1066MHZ FSB LGA771 SOCKET PROCESSOR FOR PROLIANT DL380 G5 ML370 G5 ML150 G3 SERVER (416794-001). NEW BULK. IN STOCK. SHIP SAME DAY. Hewlett Packard - 416797-001 HP/COMPAQ - INTEL XEON 5140 DUAL-CORE 2.33GHZ 4MB L2 CACHE 1333MHZ FSB 771-PIN LGA SOCKET 65NM PROCESSOR FOR PROLIANT DL360 G5 DL380 G5 ML350 G5 ML370 G5 SERVERS (416797-001). NEW BULK. IN STOCK. READY TO SHIP SAME DAY. Hewlett Packard - 403934-001 HP/COMPAQ - INTEL XEON DUAL-CORE 2.8GHZ 4MB L2 CACHE 800MHZ FSB SOCKET 604-PIN MICRO-FCPGA PROCESSOR KIT FOR PROLIANT DL380 G4 ML370 G4 SERVER (403934-001). NEW BULK. IN STOCK. READY TO SHIP SAME DAY. Hewlett Packard - 416198-B21 HP/COMPAQ - INTEL XEON 5160 DUAL-CORE 3.0GHZ 4MB L2 CACHE 1333MHZ FSB LGA-771 SOCKET 65NM PROCESSOR KIT FOR PROLIANT ML370 G5 SERVERS (416198-B21). NEW BULK. IN STOCK. READY TO SHIP SAME DAY. Compaq - 207720-001 COMPAQ 800MHZ Pentium III PROCESSOR P/N: 207720-001. SOCKET 370 FOR DL320 AND TASKSMART W2000. Hewlett Packard - 458410-B21 458410-B21 HP- Intel Xeon E5450 Quad-Core 3.0GHz 12MB L2 Cache 1333MHz FSB Socket LGA771 45nm 80w Processor For Proliant Ml370 G5 Servers. New Bulk Pack. Hewlett Packard - 458414-B21 458414-B21 HP- Intel Xeon E5430 Quad-Core 2.66GHz 12MB L2 Cache 1333MHz FSB Socket LGA-771 80w 45nm Processor Kit For Proliant Ml370 G5 Servers. New Bulk Pack. Hewlett Packard - 370461-005 370461-005 HP Intel Xeon 3.0GHz 2MB L2 Cache 800MHz FSB 604-Pin Micro-FCPGA Socket 90NM Processor For PROLIANT ML370 G4 DL380 G4 Server. New Bulk Pack. Hewlett Packard - 458416-B21 458416-B21 HP Intel Xeon E5420 Quad-Core 2.5GHz 12MB L2 Cache 1333MHz FSB Socket LGA771 80watts 45nm Processor For Proliant Ml370 G5 Servers. New Bulk Pack. Hewlett Packard - 398571-002 398571-002 HP Intel Xeon Dual Core 5060 3.2GHZ 4MB L2 Cache 1066MHZ Fsb Lga771 Socket Processor For Proliant Dl380 G5 Ml370 G5. New Bulk Pack. Hewlett Packard - 461765-B21 461765-B21 HP Intel Dual Core Xeon L5240 3.0GHz 6MB L2 Cache 1333MHz FSB Socket Lga771 40w Processor Only For Ml370 G5 Server. New Bulk Pack. Hewlett Packard - 370461-001 370461-001 HP Intel Xeon Processor 3.80GHz 800MHz FSB 2MB L2 Cache Socket PGA604 for Proliant DL380 ML370 G4 Server. New Bulk Pack. Hewlett Packard - 399133-001 399133-001 HP Intel Xeon 3.8GHz 2MB L2 Cache 800MHz FSB 604-Pin Socket Micro-FCPGA 90NM Processor For PROLIANT ML370 G4 DL380 G4 Servers. New Bulk Pack. Hewlett Packard - 462711-B21 462711-B21 HP Intel Xeon X5450 Quad-Core 3.0GHz 12MB L2 Cache 1333MHz FSB Socket LGA771 45nm 120w 64-bit Processor For Proliant Ml370 G5 Server. New Bulk Pack. Hewlett Packard - 433098-B21 433098-B21 HP - Intel Xeon E5320 Quad-CORE 1.86GHZ 8MB L2 CACHE 1066MHZ FSB SOCKET-LGA771 65NM Processor Kit For Proliant Ml370 G5 Server. New Bulk Pack. Hewlett Packard - 495944-B21 495944-B21 HP Intel Xeon E5504 Quad Core 2.0GHZ 4MB L3 Cache 4.8GT S Qpi Socket b LGA1366 45NM 80W Processor Kit For Proliant Ml370 G6 Server. New Bulk Pack. Intel - CM8068403360112 CM8068403360112 Intel Pentium Gold G5400 Dual-Core 3.70GHz 8.00GT S DMI3 4MB Cache Socket FCLGA1151 Processor. New Retail Factory Sealed With Full Manufacturer Warranty. Hewlett Packard - 601323-B21 601323-B21 HP Intel Xeon X5650 Six Core 2.66GHz 1.5MB L2 Cache 12MB L3 Cache 6.4GT S Qpi Speed Socket-FCGLA-1366 32NM 95W Processor For Proliant Dl370 G6 Ml370 G6 Server. New Bulk Pack. Hewlett Packard - 495932-L21 495932-L21 HP Intel Xeon X5560 Quad Core 2.8GHz 8MB L3 Cache 6.4GT S QPI Socket Processor Kit For ML DL370 G6. New Bulk Pack. Hewlett Packard - 601323-L21 601323-L21 HP Intel Xeon X5650 Six Core 2.66GHz 12MB L3 Cache 6.4GT S Qpi FCGLA 1366 Socket 32nm Processor Kit For Proliant DL370 G6 ML370 G6 Servers. New Bulk Pack. Hewlett Packard - 495932-B21 495932-B21 HP Intel Xeon X5560 Quad Core 2.8GHz 8MB L3 Cache 6.4GT S QPI LGA 1366 Socket 45NM 64 bit 95W Processor For Ml DL370 G6. New Bulk Pack. Hewlett Packard - 450321-L21 450321-L21 HP Intel Xeon X5365 Quad Core 3.0GHz 8MB L2 Cache 1333MHz FSB LGA 771-Pin Socket Processor Kit For Proliant ML370 G5. New Bulk Pack. Hewlett Packard - 359650-001 359650-001 HP Intel xeon 2.8ghz 512kb l2 cache 1mb l3 cache 533mhz fsb 604-pin socket micro-fcpga processor for proliant ml370 g3 dl380 g3 servers. New Bulk Pack. Hewlett Packard - 495938-B21 495938-B21 HP Intel Xeon E5530 Quad Core 2.4GHz 1MB L2 Cache 8MB L3 Cache 5.86GT S Qpi Socket B LGA 1366 45NM 80W Processor For Proliant Ml370 G6 Server. New Bulk Pack. Hewlett Packard - 458418-B21 458418-B21 HP Intel Xeon E5410 Quad-Core 2.33GHz 12MB L2 Cache 1333MHz FSB 45nm 771-Pin LGA Socket 64-bit Processor For Proliant Ml370 G5 Servers. New Bulk Pack. Hewlett Packard - 433104-B21 433104-B21 HP Intel Xeon X5355 Quad Core 2.66GHz 8MB L2 Cache 1333MHz FSB Socket-LGA771 65nm Processor Kit For Proliant Ml370 G5 Servers. New Bulk Pack. Hewlett Packard - 399133-001 HP/COMPAQ - INTEL XEON 3.8GHZ 2MB L2 CACHE 800MHZ FSB 604-PIN SOCKET MICRO-FCPGA 90NM PROCESSOR FOR PROLIANT ML370 G4 DL380 G4 SERVERS (399133-001). NEW BULK. IN STOCK. READY TO SHIP SAME DAY. Hewlett Packard - 495928-B21 495928-B21 HP Intel Xeon W5580 Quad Core 3.2GHz 8MB L3 Cache 6.4GT S Qpi LGA 1366 Socket 45NM 64 Bit 130watts Processor For Ml DL370 G6. New Bulk Pack. Hewlett Packard - 625077-B21 625077-B21 HP Intel Xeon E5645 Six Core 2.4GHz 1.5MB L2 Cache 12MB L3 Cache 5.86GT S QPI Speed Socket FCGLA1366 Processor Kit Proliant DL370 G6 Server. New Bulk Pack. Hewlett Packard - 625077-L21 625077-L21 HP Intel Xeon E5645 Six Core 2.4GHz 1.5MB L2 Cache 12MB L3 Cache 5.86GT S QPI Speed Socket FCGLA 1366 Processor Kit For Proliant DL370 G6 Server. New Bulk Pack. Hewlett Packard - 636206-B21 636206-B21 HP Intel Xeon E5645 Six Core 2.4GHz 1.5MB L2 Cache 12MB L3 Cache 5.86GT S Qpi Speed Socket FCGLA-1366 Processor For Proliant DL370 G6 Server. New Bulk Pack. Hewlett Packard - 495936-B21 495936-B21 HP Intel Xeon E5540 Quad Core 2.53GHz 1MB L2 Cache 8MB L3 Cache 5.86GT S Qpi Socket b LGA 1366 45nm Processor For Proliant Ml370 G6 Servers. New Bulk Pack. Hewlett Packard - 438363-001 HP/COMPAQ - INTEL XEON X5355 QUAD-CORE 2.66GHZ 8MB L2 CACHE 1333MHZ FSB 65NM 120WATTS SOCKET-LGA771 PROCESSOR ONLY FOR PROLIANT DL360 G5 DL380 G5 ML350 G5 ML370 G5 SERVERS (438363-001). NEW BULK. IN STOCK. READY TO SHIP SAME DAY. Hewlett Packard - 495946-B21 495946-B21 HP Intel Xeon E5502 Dual Core 1.86GHz 4MB L3 Cache 4.8GT S QPI LGA 1366 Socket 45NM 64 Bit 80W Processor For ML DL370 G6. New Bulk Pack. Hewlett Packard - 416196-B21 416196-B21 HP Intel Xeon 5150 Dual-Core 2.66GHz 4MB L2 Cache 1333MHz FSB Socket-LGA 771 65NM Processor Kit For PROLIANT ML370 G5 Servers. New Retail Factory Sealed With Full Manufacturer Warranty. Hewlett Packard - 416162-003 416162-003 HP Intel Dual-Core Xeon 5150 2.66GHz 4MB L2 Cache 1333MHz FSB Socket LGA 771 65NM Processor For PROLIANT ML370 G5 DL380 G5 DL360 G5 Server. New Retail Factory Sealed With Full Manufacturer Warranty. Hewlett Packard - 433104-B21 HP/COMPAQ - INTEL XEON X5355 QUAD-CORE 2.66GHZ 8MB L2 CACHE 1333MHZ FSB SOCKET-LGA771 65NM PROCESSOR KIT FOR PROLIANT ML370 G5 SERVERS (433104-B21). NEW BULK. IN STOCK. SHIP SAME DAY. Hewlett Packard - 625074-B21 625074-B21 HP Intel Xeon X5672 Quad Core 3.2GHz 12MB L3 Cache 6.4GT S QPI Speed Socket LGA 1366 95W Processor Kit For Proliant DL370 ML370 G6. New Bulk Pack. Hewlett Packard - 625072-B21 625072-B21 HP Intel Xeon X5687 Quad Core 3.6GHz 1MB L2 Cache 12MB L3 Cache 6.4GT S Qpi Socket 1366 130w Processor For Proliant Dl370 G6 Server. New Bulk Pack. Hewlett Packard - 631740-B21 631740-B21 HP Intel Xeon Quad Core X5667 3.06GHz 12MB L3 Cache 6.4GT S Qpi Speed Socket FCLGA 1366 Processor Kit For Proliant DL370 ML370 G6. New Bulk Pack. 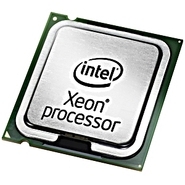 Hewlett Packard - 497545-001 497545-001 HP Intel Xeon X5470 Quad Core 3.33GHz 12MB L2 Cache 1333MHz FSB 771pin LGA Socket 45nm Processor For Proliant Bl460c G1 Bl480c G1 Dl380 G5 Ml370 G5 Servers. New Bulk Pack. Hewlett Packard - 455968-003 455968-003 HP Intel Xeon X5470 Quad-Core 3.33GHz 12MB L2 Cache 1333MHz FSB 771-PIN LGA Socket 45NM Processor For PROLIANT DL380 G5 ML370 G5 Server. New Bulk Pack. Hewlett Packard - 625075-B21 625075-B21 HP Intel Xeon E5649 Six Core 2.53GHz 1.5MB L2 Cache 12MB L3 Cache 5.86GT S Qpi Socket B Processor Kit For ML DL370 G6. New Bulk Pack. Hewlett Packard - 625075-L21 625075-L21 HP Intel Xeon Six Core E5649 2.53GHz 1.5MB L2 Cache 12MB L3 Cache 5.86GT S Qpi Socket FCGLA-1366 Processor Kit For ML DL370 G6. New Bulk Pack. Hewlett Packard - 495930-B21 495930-B21 HP Intel Xeon X5570 Quad Core 2.93GHz 1MB L2 Cache 8MB L3 Cache 6.4GT S QPI Speed Socket LGA1366 45NM 95watts Processor For Proliant Ml dl370 G6 Servers. New Bulk Pack. Hewlett Packard - 400500-B21 400500-B21 HP Intel Xeon Dual Core 5060 3.2GHz 4MB L2 Cache 1066MHz FSB Socket-LGA771 Processor For Proliant ML370 G5 Server. New Bulk Pack. Intel - BX80646I34170 BX80646I34170 Intel Core i3-4170 Dual Core 3.70GHz 5.00GT s DMI2 3MB L3 Cache Socket LGA1150 Desktop Processor. New Bulk Pack. Hewlett Packard - 637412-B21 637412-B21 HP Intel Xeon E5645 Six Core 2.4GHz 1.5MB L2 Cache 12MB L3 Cache 5.86gt S Qpi Speed Socket Fclga-1366 32NM 80W Processor Kit For Proliant Ddl370 G6 Server. New Bulk Pack. Intel - BX80633I74820K BX80633I74820K Intel Xeon Core i7-4820K Quad Core 3.70GHz 5.00GT S DMI2 10MB L3 Cache Socket LGA2011 22NM 130W Desktop Processor. New Bulk Pack. Intel - BX80677E31240V6 BX80677E31240V6 Intel Xeon Quad-Core E3-1240V6 3.70GHz 8MB L3 CACHE 8GT S DMI3 Speed Sockets Supported FCLGA1151 14NM 72W Processor. New Bulk Pack. Intel - BX80677E31245V6 BX80677E31245V6 Intel Xeon Quad-Core E3-1245V6 3.70GHz 8MB L3 Cache 8GT S DMI3 Speed Sockets Supported FCLGA1151 14NM 73W Processor. New Bulk Pack. 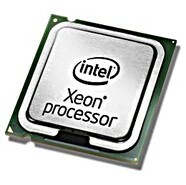 Intel - SR327 SR327 Intel Xeon E3-1240 V6 Quad-Core 3.70GHz 8MB L3 Cache Socket LGA1151 14NM 72W Processor. New Bulk Pack. Intel - CM8067702870649 CM8067702870649 Intel Xeon Quad-Core E3-1240V6 3.70GHz 8MB L3 CACHE 8GT S DMI3 Speed Sockets Supported FCLGA1151 14NM 72W Processor. New Bulk Pack. Intel - CM8067702870932 CM8067702870932 Intel Xeon Quad-Core E3-1245V6 3.70GHz 8MB L3 Cache 8GT S DMI3 Speed Sockets Supported FCLGA1151 14NM 73W Processor. New Bulk Pack. Intel - SR32B SR32B Intel Xeon E3-1245 V6 Quad-Core 3.70GHz 8MB L3 Cache Socket LGA1151 14NM 73W Processor. New Bulk Pack. Hewlett Packard - 495942-B21 HP/COMPAQ - INTEL XEON DP E5506 QUAD-CORE 2.13GHZ 1MB L2 CACHE 4MB L3 CACHE 4.8GT/S QPI SOCKET B(LGA-1366) 45NM 80W PROCESSOR FOR PROLIANT ML370 G6 SERVERS (495942-B21). NEW BULK. IN STOCK. SHIP SAME DAY. Intel - BX80684I78700K BX80684I78700K Intel Core i7-8700K 6-Core 3.70GHz 12MB L3 Cache Socket 1151 Processor. New Retail Factory Sealed With Full Manufacturer Warranty. Hewlett Packard - 497545-001 HP/COMPAQ - INTEL XEON X5470 QUAD-CORE 3.33GHZ 12MB L2 CACHE 1333MHZ FSB 771-PIN LGA SOCKET 45NM PROCESSOR FOR PROLIANT BL460C G1 BL480C G1 DL380 G5 ML370 G5 SERVER (497545-001). NEW BULK. IN STOCK. SHIP SAME DAY. Intel - CM8066002395300 CM8066002395300 Intel Xeon E5-1630 V4 Quad Core 3.70GHz 5.00GT S DMI 10MB L3 Cache Socket FCLGA2011-3 14NM 140W Processor. New Retail Factory Sealed With Full Manufacturer Warranty. Intel - SR2PF SR2PF Intel Xeon E5-1630 V4 Quad Core 3.70GHz 5.00GT s DMI 10MB L3 Cache Socket FCLGA2011-3 14NM 140W Processor. New Bulk Pack. Hewlett Packard - 495938-B21 HP/COMPAQ - INTEL XEON E5530 QUAD-CORE 2.4GHZ 1MB L2 CACHE 8MB L3 CACHE 5.86GT/S QPI SOCKET B(LGA-1366) 45NM 80W PROCESSOR FOR PROLIANT ML370 G6 SERVER (495938-B21). NEW BULK. IN STOCK. READY TO SHIP SAME DAY. Intel - CM8066201921607 CM8066201921607 Intel Xeon E3-1280 V5 Quad Core 3.70GHz 8.00GT S DMI3 8MB L3 Cache Socket LGA1151 14NM 80W Processor. New Retail Factory Sealed With Full Manufacturer Warranty. 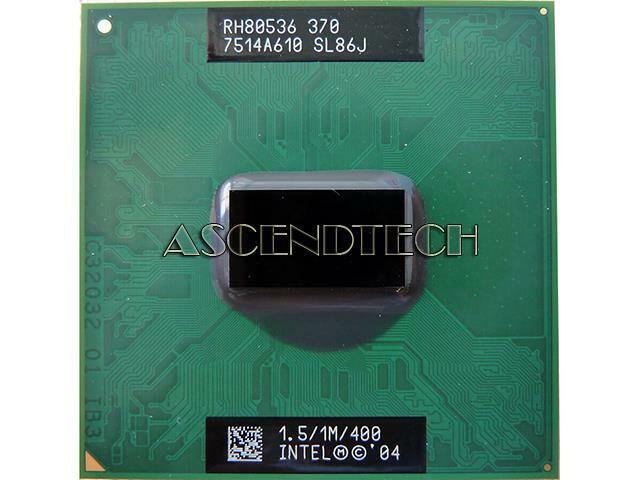 Intel - CD8067303533403 CD8067303533403 Intel Xeon W-2135 6-Core 3.70GHz 8.25MB Cache Socket FCLGA 2066 Processor. New Retail Factory Sealed With Full Manufacturer Warranty. Intel - CD8067303533601 CD8067303533601 Intel Xeon W-2145 8-Core 3.70GHz 11MB Cache Socket FCLGA2066 14NM 140W Processor. New Bulk Pack. Hewlett Packard - E5-2643 v3 HP Intel Xeon E5-2643 v3 Hexa-core (6 Core) 3.40GHz Processor Upgrade - Socket LGA 2011-v3 - 1.50MB - 20 MB Cache - 9.60 GT s QPI - 5 GT s DMI - 64-bit Processing - 3.70 GHz Overclocking Speed - 22 nm - 135 W - 171.1&deg;F (77. Lenovo - 7XG7A05590 7XG7A05590 Lenovo Intel Xeon 6126 12 Core 2.60GHz Upgrade Socket 3647 12MB 19.25 MB Cache 3.70 GHz Overclocking Speed 14 NM 125 W Processor. New Bulk Pack.